Shani Trayodashi is celebrated on Saturday December 20, 2014 Krishna Paksha Trayodasi. Shani Trayodashi is one of the most important day for Shani puja to God Shani. Shani is the lord of Saturday. Thirteenth day of Each lunar cycle is called as Trayodasi. Hindu month consists of two lunar cycles so that we have two Pradosham days in a month. The Trayodasi will fall on a Saturday is called as Shani Trayodasi. Shani Trayodasi is also called as Shani Pradosham. God Shani is the son of Sun and Chhaya. 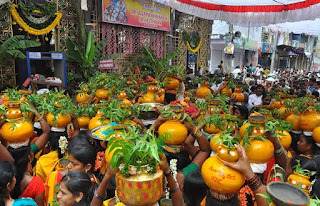 On the auspicious day of Shani Trayodasi, People will perform Tailabhishekam. Some black grams, 100 grams of ginger oil packet, one kilo coal, a small black ribbon, 8 iron nails, some Navadanyams that is to be tied in a black cloth and donate the same to the temple priest or drop the same in a running water will definitely please Lord Shani Bhagavan. Offer food items to a crow and help the needy persons. Do not purchase oil, leather, umbrella, Navadanyams etc, on Shani Trayodasi. Distribute rice with salt meals to poor people. If possible proceed for offering food (Annadanam). Pradosham means the removal of sins. Donate black clothes to poor people on Saturday. It is advised to recite at least 108 times the following mantra to please Lord Shani Bhagavan. Natives have to perform pujas and abhishekams to please Lord Shani Bhagavan. It is believed that Shanidev promised Lord Hanuman that whosoever worship Bajrangbali on Saturday's particularly on Shani Pradosh will be relieved from the troubles of Saturn. Rahu gives results like Saturn. Ketu gives results like Mars. Saturn is the Son of Sun God, A witness to all Karmas. Hindus Believes the Aswatha Vruksha Goddess Lakshmi and Lord Narayana will be present on Saturdays especially. Lord Shani results in worshiping both lord Shiva and lord Vishnu on this Shani Trayodasi day. 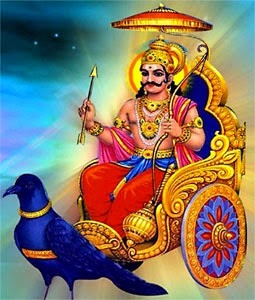 Lord Shani is the one of the Planet and Diety God of Navagraha. Shani Trayodasi dedicated to Lord Shiva, Lord Hanuman, Lord Venkateswara, Lord Shanidev and Goddess Kaali(kali maa). Lord Hanuman is said to be a very strong and effective remedy for Saturn. Apart from this Saturn he himself is a good remedy who is known as stothra Priya.